I'm finally back in NYC after my whirlwind Southeast Asian adventure. 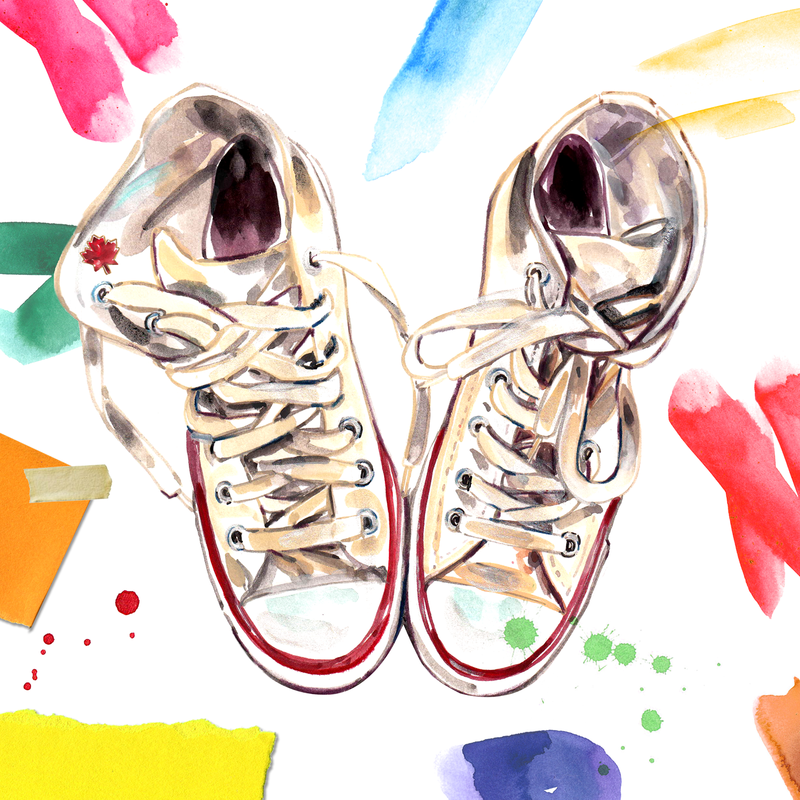 I'll be sharing my postcard from my adventure with Contiki shortly, but first I wanted to share this illustration portrait I did of my (10 year old) Chuck Taylor's for Converse's #MadeByYou campaign for the month of March. When I was asked by Tumblr to contribute to the project I was super ecstatic and actually didn't even realize how long I've owned my Chucks!! From hustling to business classes at McGill University wearing oversized faux-fur coats with my sneaks, to trekking to the hill tribes last week in Chiang Mai Thailand. If only these shoes could speak, oh the stories they would tell. Converse asked every contributor to tell their story in 6 words to accompany their portrait and here is mine: "Passion, persistence, paint what you love." That is my motto everyday. Can't wait to share all my inspiration from Thailand, Laos, and Cambodia shortly! !